Gskyer AZ70400 70mm Telescope Review - There Are Better Options! entry price first-time buyer. The Gskyer line seems to be sold primarily on Amazon.com and eBay. The product name references German Technology with no explanation. The scope, like a lot of the consumer telescope products available today, is made in China. There is a pictorial assembly instruction sheet that does a good job of showing you how to assemble the telescope. But there is no owner’s manual/user’s guide. 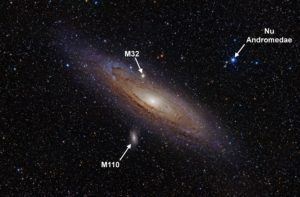 There are no instructions on how to focus or align the finder scope and no information about how to use the scope to view astronomical objects. I checked www.gskyer.com, to see if there was an online manual, but the website address does not work. 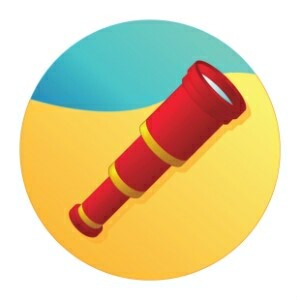 It appears to be assumed that the user knows how to use a telescope or will buy a separate guide. Take this into consideration when evaluating the price. Telescopes in this price range from Meade, Celestron, Orion, and others usually include some kind of a user guide in the package or online. The first feature that caught my attention was the 45 degree diagonal. If you plan to use the scope primarily as a daytime spotting scope or to view objects in the night sky that are below 30 degrees above the horizon that will work OK. 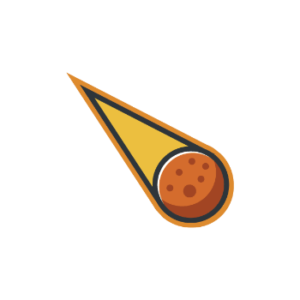 However, viewing targets approximately 40 degrees above the horizon or higher will become awkward and may require the user to kneel on the ground to get low enough to use the eyepiece. Unfortunately, we would normally give preference to viewing objects between 30 to 90 degrees above the horizon when viewing the sky so most of the time the eyepiece will not be in optimal position for astronomy with this diagonal. Viewing near the zenith, straight up, would be very difficult. This is unfortunate as viewing near the zenith is an excellent area as the atmosphere is thinnest in that direction causing less atmospheric distortion. This is why astronomical diagonals, often called star diagonals, are 90 degrees, not 45 degrees. You could buy a 90 degree diagonal to add to the scope. But that adds to the cost. The included eyepieces appear to be of a Kellner type design which is to be expected in a package at this price point. While they work well they lack eyecups to block out stray light. Light from streetlights or your neighbor’s front porch can cause reflections on the lens which can seriously degrade the image in the eyepiece. I would recommend using a hood over your head when using these eyepieces. The eyepieces provide 16X and 40X which are well suited to the scope. When combined with the included 3X Barlow they will provide 48X and 120X. 120X would be about the practical limit of a 70 mm short focal length refractor. 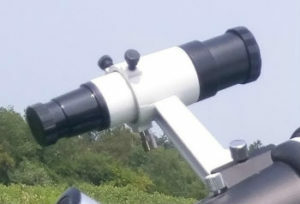 It is normal to add eyepieces to a telescope package after the initial purchase. In the future, you may wish to add one or two eyepieces to fill in the gap between 48X and 120X as this would be a very useful part of the range of this scope. The tripod is a lightweight camera type tripod. It is adequate for the weight of the scope. But where is the slow-motion control that is called out on the Amazon web site? It says that the tripod has slow motion control, but there is no evidence of this on the tripod and there is no manual to explain this feature. Any telescope package in the under $100 price range is going to be lacking in one way or another. But this one lacks in too many ways. I have to give this 2 stars out of five. If you are looking for a daytime spotting scope, the Gskyer AZ70400 might meet your needs. However, I would suggest you look at a purpose-built spotting scope instead. 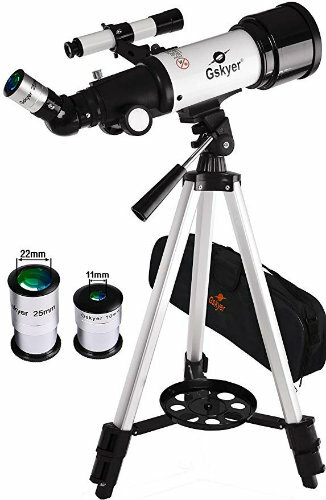 If your primary interest is an astronomy telescope, The Meade Instruments 209003 Infinity 70mm would be a better choice at a similar price point.